I am specialised in distilling user requirements and adapting standard IT-tools in such a way they are good for use in the day-to-day business processes. As 'aspirant-reserveofficier' (ARO) I fulfill different assignments for the Dutch Defense department. 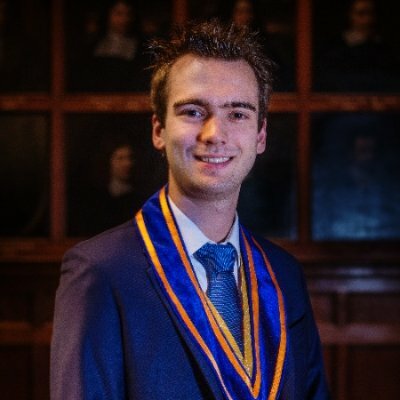 Also, I follow different courses within the department.At this moment, I work for the Koninklijke Marechaussee as an Usability and Requirements Engineer in a small internal consultancy team. Responsible for planning and producing the main events during the Utrechtse Introductie Tijd 2018, the main introductory event for all new students from all HBO's and Universities in Utrecht. There are expected to be 4200 participants and 700 volunteers during this event. For KLM I developed a new SharePoint site for the Airworthiness office. The site's primary function is to provide the aircraft engineers of KLM with the knowledge provided by the Airworthiness Office to prove their proposed design changes are in compliance with the Airworthiness laws of EASA (Part-21), the FAA and other legislative bodies. A huge part of this project was to be a pioneer in Office 365 and think of a governance plan for this tool which was not introduced to the unit yet. Also, search capabilities, meta-tagging and taxonomy creation were important keywords of this project. Information sciences focusses on the link between human and computer. Although techical courses like C# programming and database engineering are given, the focus is on the appliance of technology in all its forms in organisations and public spaces. In my study, I focus on organisational use of IT; with subjects like Organisations and ICT, Product software, Law and informatics and Information systems. I also have a perticular interest in developing information systems; from requirement analysis all the way up to deployment. Maintaining a website for the Mirjam in Malawi Foundation, a small non-profit foundation active in the Bembeke-region in Malawi, Central Africa. I'm also responsible for our custom-made CRM supporters database and several other IT-related tasks. UITfestival: outdoor festival, where all the students received free lunch and diner. Around 3000 people visited this festival. Logistic Centre: in our Logistic centre, the distribution for all of the UIT-events were organised.I was the main manager of this centre. As a treasurer for the studytrip committee, I am responsible for setting the budget, managing it and keep track over expenses and incomes during the studytrip to Brasil. As Chairman of the Information Sciences Symposium, I oversaw a team of six people whom organised a symposium for all Information Science Students of Utrecht University. With speakers as Hans de Zwart from Bits of Freedom and Peter Joosten we were able to set up a nice symposium with an attendance of +/- 60 students.